Nissan has put together a unique and unlikely one off version of the Juke, using the underpinnings of their impressive high performance GT-R.
That means the new Juke-R is powered by a 3.8-litre twin-turbocharged V6, which has been shoehorned under the bonnet and linked to a six-speed transaxle and a four-wheel drive system. The body has been beefed up and widened, with the chunkier wheel arches surrounding massive 20-inch wheels. The super-crossover look is finished with a split rear spoiler. 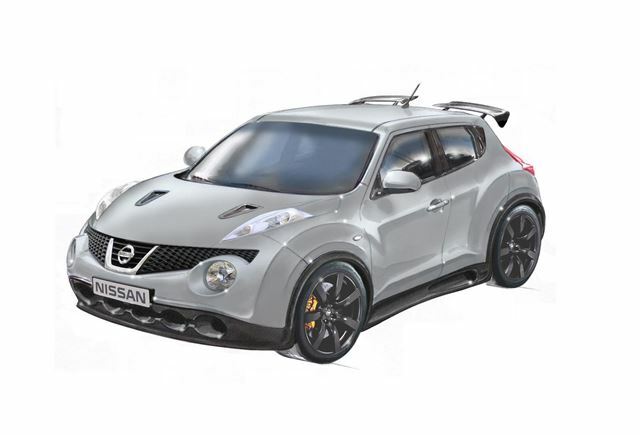 The Juke-R is road-legal, but it’s a one off and won’t be on sale as a production model. It’s still being developed, so performance figures are currently unreleased.